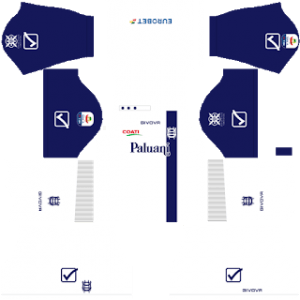 In this article, you can find and download Dream League Soccer (DLS) Chievo Verona Kits and Logos 2018, 2019 Edition with URLs. Founded in 1929, Chievo Verona is a professional Italian football club based in Chievo. Chievo Verona is very famously known by the name of Gialloblu (The Yellow and Blues). The club and the town rival Hellas Verona shares the 39,371 seater Stadio Marc’Antonio Bentegodi to play their respective matches. Gian Piero Ventura is the head coach of Chievo Verona, who manages them efficiently and develops the players’ skills. Now its your time to manage the kits of your Dream League Soccer team and use Chievo Verona’s kits. Download the kits and logo from the URL provided below. Dream League Soccer is a very exciting game and all the fans are waiting for the customized kits. Today, we are sharing all the Kits & Logos for Dream League Soccer Chievo Verona team. To find them scroll down and download it from the URL mentioned below The kits are provided in the size of [512×512]. You can use this kits in DLS by clicking the URL to download the Chievo Verona home kit 2018-2019. 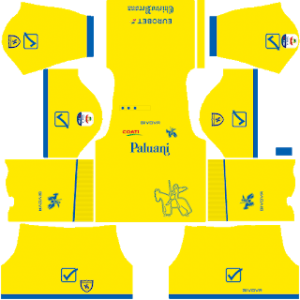 You can use this kits in DLS by clicking the URL to download the Chievo Verona away kit 2018-2019. 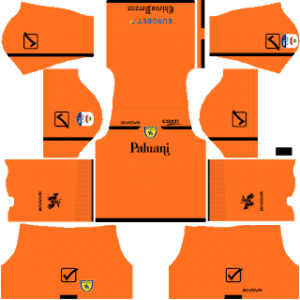 You can use this kits in DLS by clicking the URL to download the Chievo Verona third kit 2018-2019. You can use this kits in DLS by clicking the URL to download the Chievo Verona Goalkeeper’s home kit 2018-2019. 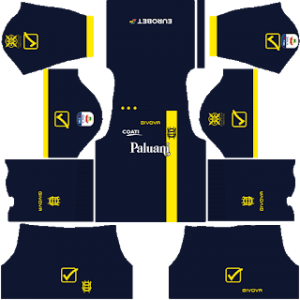 You can use this kits in DLS by clicking the URL to download the Chievo Verona Goalkeeper’s away kit 2018-2019. You can use this Logo in DLS by clicking the URL to download Chievo Verona Logo 2018 – 2019.